Ski fashion has a life of its own it represents living with style while seeking adventure. We believe Cordova captures this style which is why we have chosen it as one of our designer ski wear brands for our Aspen ski shop. One look at the 2019 Cordova ski wear collection and their belief that life is about seeking paramount beauty and adventure becomes immediately evident. 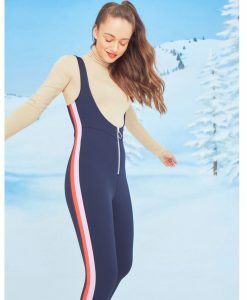 Their craft for designing original tailored ski and après ski apparel for women who desire bold styles and choose to embody the lifestyle of mountain leisure without sacrificing performance is second to none. Cordova designs reflect the women who wear them – inspired, timeless, confident and alluring.